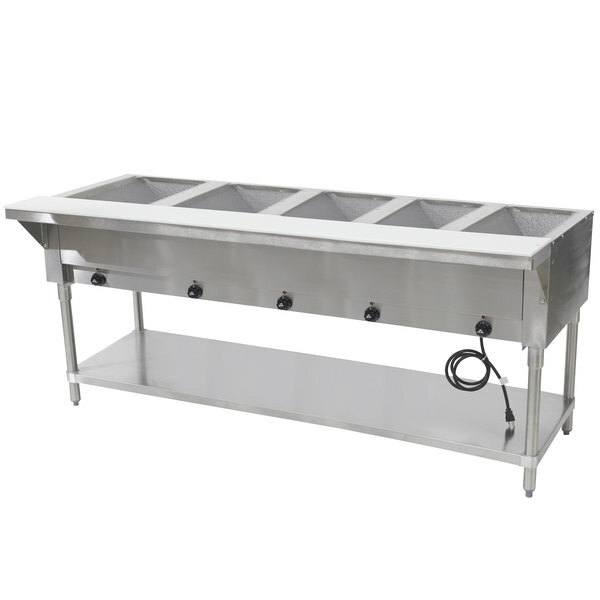 This Advance Tabco SW-5E-240 electric food table features 5 sealed wells that keep your hot food products at proper temperatures so you can adhere to HACCP food temperature guidelines. Each well has a gate-valve drain, and the fiberglass insulation between compartments helps to increase temperature control. Infinite control knobs and power indicator lights are convenient additions to this unit that help you set and adjust temperatures for each well. These components are recessed to help prevent clogging from spilled food. 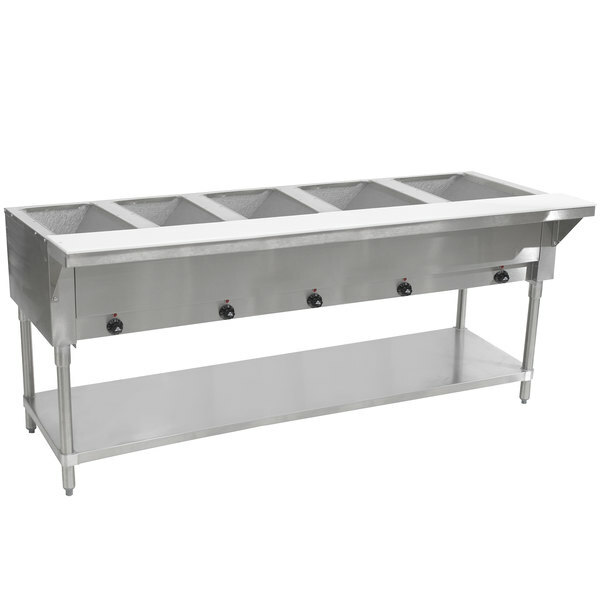 Made of stainless steel, the body and 8" deep liners of this food table are durable and easy to clean, and the galvanized steel legs come with adjustable plastic bullet feet. This food table also boasts a galvanized steel undershelf that's easy to assemble and adjust as needed. 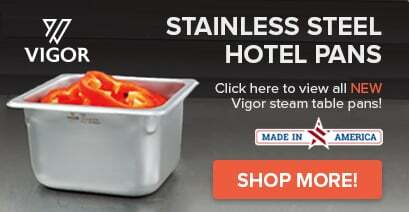 It's great for storage of ingredients, serving utensils, and more. 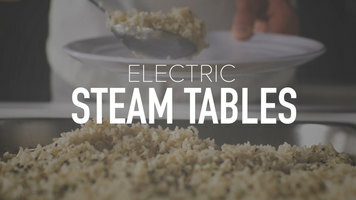 Additionally, an 8" wide, white thermoplastic cutting board makes it easy to prep food and keep it warm on the same unit. The board is removable for easier cleaning, and it is supported by a full length shelf for optimal stability.